Much More Than Soup Cookbook! Order your copy today! Matt Talbot Kitchen & Outreach has published a new community cookbook through Morris Press Cookbooks of Kearney, NE. The Matt Talbot Kitchen & Outreach Much More Than Soup Cookbook is full of unique and delicious recipes collected from Community Leaders, Matt Talbot Volunteers, Supporters, Staff and the Board of Directors! This exclusive community cookbook comes in an easy to use three ring binder format with custom dividers containing eight different categories. The colorful Much More Than Soup Cookbook cover was designed especially for Matt Talbot Kitchen & Outreach, courtesy of the Advertising Federation of Lincoln. The eight cookbook categories include: Appetizers & Beverages, Soups & Salads, Vegetables & Side Dishes, Main Dishes, Breads & Rolls, Desserts, Cookies & Candy and Cooking For A Crowd - Hunger Relief. The Much More Than Soup Cookbook contains everyday recipes that are practical and useful to people in their everyday lives. Cookbook highlights include the Annual Matt Talbot Garden Party Benefit hors-d'oeuvre recipes, and the well balanced and nutritious Matt Talbot Kitchen & Outreach Nutrition Cooking Class recipes. Of course, the cookbook wouldn't be complete without including a selection of large quantity recipes for our Hunger Relief Volunteer Teams, who prepare an average of 150 servings per meal at Matt Talbot Kitchen & Outreach for our working poor and homeless guests. 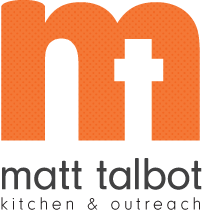 The Much More Than Soup Cookbook includes great recipes to share with family and friends, but it also tells the exceptional Matt Talbot Kitchen & Outreach story to all who purchase this book. Stories and program highlights are included throughout the book, telling of our organization's grassroots history, our mission of Compassion in Action, and our vision for the future, as well as our ongoing efforts on behalf of the homeless and near homeless of the Lincoln community. To order your copy of the Much More Than Soup Cookbook ($15 per copy; shipping and handling is extra), please contact Dannie Elwood, MTKO Development Specialist at 477-4116 or danniemtko@windstream.net. The Much More Than Soup Cookbook is a perfect gift for any occasion. Credit cards are accepted.